Originally published by the Canberra Times. He’s widely regarded as one of Australia’s best ever touch players, which will be recognised by his induction into the hall of fame on November 30. “Obviously it’s an honour. I grew up playing footy in Canberra, lived in Canberra all my life, and in my time there were people like Bradley Clyde, Ricky Stuart, they were plying their trade in rugby league,” Lawless said. “Geoff Didier, Michael O’Connor in rugby union, local Canberrans who made it up to the next level. He was also the football manager at his old club Ainslie for a few years, before taking up a role with AFL Canberra where he’s still working today. “My second year of senior footy I broke my leg early in the year and I started working in the public service … and part of my rehabilitation was they were playing this game called touch footy at lunchtime and I went out and had a run,” Lawless said. It wasn’t just the broken leg that got him hooked on the sport, but his move to Tuggeranong also played a role – putting a bit of travel time between himself and the Ainslie footy club. The fact every year you could travel to a different part of Australia to play in the nationals was another hook that helped touch get under Lawless’s skin. 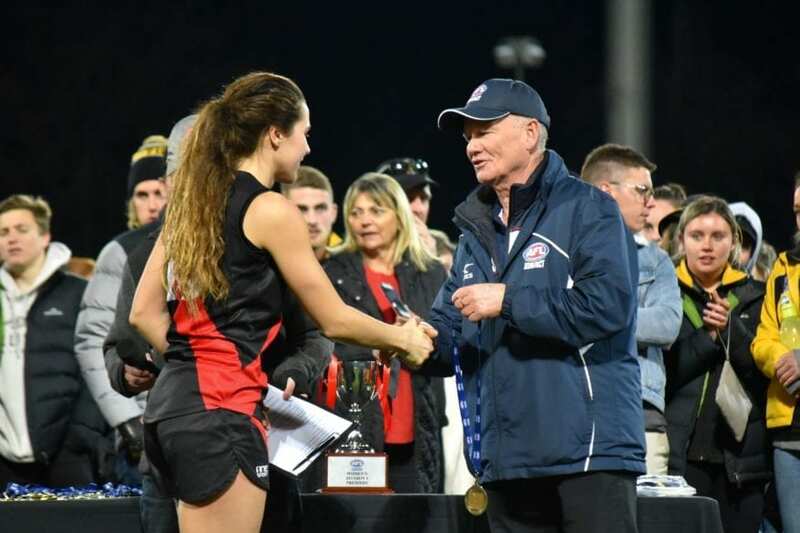 “The big fascination was they held the national championships in every capital city around Australia, which is sort of something I didn’t see happening with AFL,” Lawless said. He feels the modern game has taken a hit from all the other non-contact sports introduced by various codes since – OzTag, AFL 9s, ultimate frisbee and the like. But back when he started, it was almost everyone’s second sport. “When I was playing men’s open with ACT, [Clyde] was an under-16s ACT touch representative,” he said. lRegistrations for the 2019 AFL season are now open!